A simply adorned cherry and walnut piccolo banjo. Cherry burl peghead overlay, ebony fingerboard with cherry burl Corgi paw print inlay. 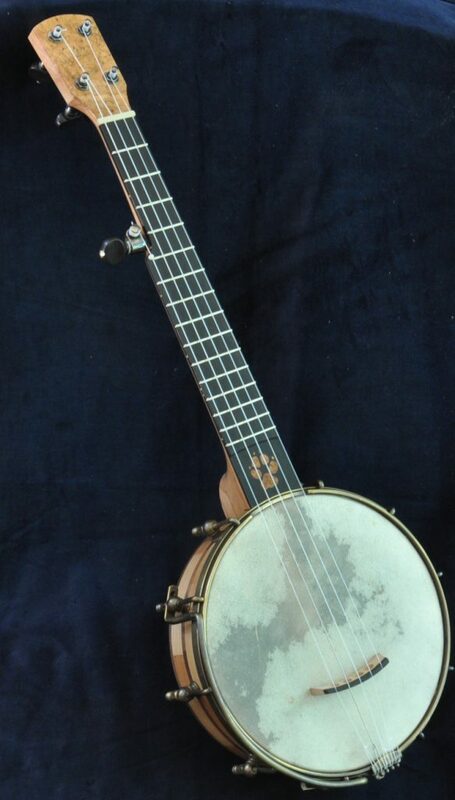 This banjo was built as a travel banjo and as a companion to a Romero Banjo. 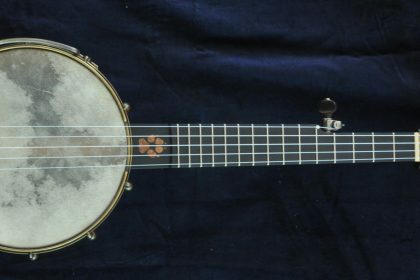 I’m a big fan of his work so I’m quite honored to have a Seeders Banjo as a ‘little sibling’ to one of his banjos in a collection. This piccolo has a skin head and nylgut strings which contributes to its plunky sound.